They really just did delete it. In the third area the player comes across (Zi) there are steam vents that act as environmental obstacles, and they have a sound effect. EDIT: While it is humorous to see something like this going wrong because of the word steam being the same as the store Steam, here's a reason why you should still play this game regardless! The creator Tom Happ is awesome. LMAO! This is the kind of humor I can get behind. This is unfortunate and also extremely funny. That is honestly really hilarious. Wait so is this intentional? What would be the legitimate source for a sound named "steam?" Just something environment-related that made for a funny coincidence? Haha. This is quite funny. 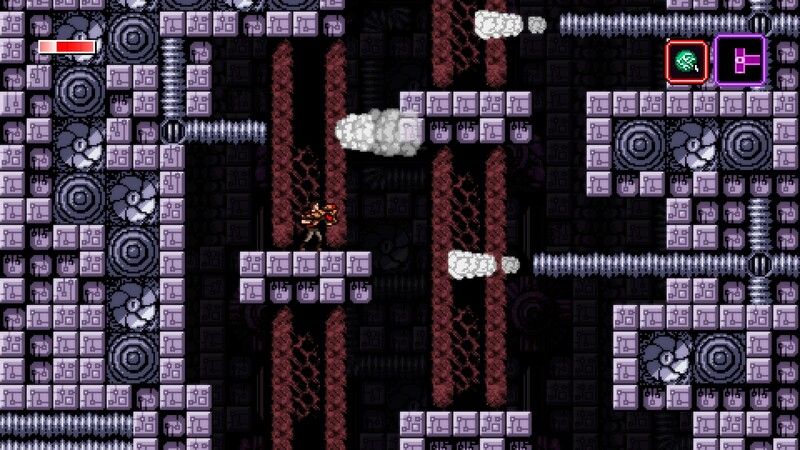 Haven't played Axiom Verge on PC. What does this mean, exactly? When entering a new area it plays a Steam-related sound effect? Or an actual sound effect of steam? That was auto-stripped from the Epic release? This doesn't make much sense without full context. Mods fixed my title before I even finished submitting the report! Thank you so much mods! I feel stupid for such an oversight lol. Probably a sound effect for steam in game. The game has a big industrial theme. was the missing sound effect a slide effect? Step 1. Delete all files containing the word steam. Step 2. Don't play through game to see if you fucked up. And big selling point of theirs was that they were going to actually test games. Guess that didn't happen this time. Games running is also opt out on the Epic Store. They're all about choices for developers. Nice. On a similar note, the Twitch version of Hyper Light Drifter that was given out via Twitch Prime recently has a Twitch specific bug that makes it impossible to play once you start fighting groups of enemies. OUT OF SEASON APRIL FOOLS JOKE?! Epic shouldn't be deleting game files. Maybe they tried to delete all steam related DLL files? I think some GOG games came with a file named steam.dll that was not used, and other stores had GOG launcher related files in their installers, too. Those files should be left alone even if they are not used, just in case. Please say this is 100% true. I need a good laugh for the whole year. That's actually pretty funny lol. So, not only did Galyonkin lie (that or he's not as knowledgeable about Steam as he thinks he is) when he strongly implied Valve doesn't check games before approving them for release, but apparently Epic's own approval process isn't much, if any, better. That's rather amusing. Haha, kinda funny. Easy to patch, but funny. No error handling for sound effects, huh? This feels like something somebody did as a joke and forgot to fix it before release. is this a good game? worth download it once is bug-free? further proof that the steam monopoly is bad for games! It's a great Metroid-Vania game, especially with Steam.